In this dream, I was a normal housewife with a husband and son. I actually have three grown daughters and an adoptive son. The setting was your normal ‘Leave it to Beaver’ type of neighborhood. My husband had gone to work and it was afternoon. Then the scene changed and I began to hear shouting outside and screams of fear and wailing. As I went to the window to look, I saw what looked like armed military men in uniforms with helmets on their heads and shields. I watched as they were going door to door pulling people out of their homes as though they were looking for individuals. I can still hear and see the children crying and the fear in their eyes. I saw big military trucks rolling down the streets and stopping to load individuals into the back. I knew martial law had been declared! Then a man turned around to look at me and I saw our President Donald Trump! I asked, “Is he the antichrist?” But that thought left me as I continued praying into it. When I had this dream in 2016, my husband was driving a white company truck back and forth to work. Then two weeks after this dream, his company reissued the truck and he began driving his red truck to work! This is Stacey’s dream and she surely has her own ideas about what it means, but in the email she sent me today, she wrote, “I welcome your insight and anything you could share.” So the following is my own interpretation. I believe Stacey’s dream is a true revelation from God, warning His people to be on the alert, paying close attention to what is now happening because God wants His people to see trouble coming while it is still a long way off so we are not led astray and caught off guard. (Proverbs 22:3) I believe what she saw goes way beyond martial law coming to America. It sounds more like civil war waged by the U.S. government against the American people, confirming many other previous warnings. This dream is especially interesting since President Trump appears in it. I believe every detail of prophetic dreams are important clues and given for a specific purpose, so we should study closely, just as we do when we study scripture verses because the same God who speaks through His written word also speaks to us through dreams and visions. I think one important clue is President Trump’s identity was revealed to Stacey immediately after she asked God, “Father, who is doing this?” This seems to clearly identify him as the one leading these events. Another clue is President Trump’s identity was revealed as he turned around. This might indicate he is going to appear to be going one way and as long as he continues moving in that direction, he will not be suspected of being part of anything like this, but in a moment he suddenly and surprisingly turns around and changes his direction, facing in a new direction, and this happens at the same time the U.S. military launches their campaign rounding up citizens, but by then it is too late for the American people to do anything about it. Another important point revealed in this dream is Stacey did not see any violent acts committed by the American people. All the violence came from the U.S. military as they were going door to door dragging American citizens out of their homes and loading them onto trucks. So, what Stacey saw appears to go way beyond martial law, which is only required to protect citizens from dangers caused by violence and lawlessness. She saw military actions that went far beyond far beyond that. Their actions were hostile and disturbing, causing great fear and weeping. Stacey felt that fear and witnessed the weeping. There was no due process, no legal protections normally granted to U.S. citizens. This sounds like our own military was waging war against the American people, all under the direction of President Trump. We can only speculate about where the trucks were taking people, but it does not sound like it was a good place. Many have put their hope in President Trump because God has been using him to confront unrighteousness in our land. However, we must be on guard against putting our trust in any man because things are not always what they appear to be. God is the only trustworthy friend we have. Trusting in anyone else opens us up to dangers of being misled and deceived. This dream is also a word of encouragement to the righteous, confirming God’s many scriptural promises to protect those who walk uprightly before Him. Although there was great trouble all around, Stacey and her family were supernaturally protected. Her husband’s keys were not taken. Their car was not seen as they drove away. And the mountain of the Lord opened up and provided them with a safe refuge. That same kind of protection and provision does not belong to the unrighteous, but it is the inheritance of everyone who walks uprightly before God, as shown in these promises. Yahweh shall cause your enemies who rise up against you to be defeated before you; they will come out against you one way and will flee before you seven ways (Deuteronomy 28:7). You will have much misery and distress, but Yahweh will deliver you from all of it and will strip all of it off of you (amplified from Hebrew words raah, natsal, and tsarah in Psalm 34:17 and 19). Yahweh will not leave you in the hands of the wicked who seek to kill you (Psalm 37:32-33). Yahweh will make a way of escape for you so you can slip away into a safe place (amplified from Hebrew word palat in Psalm 37:40). I would say that I am confused. 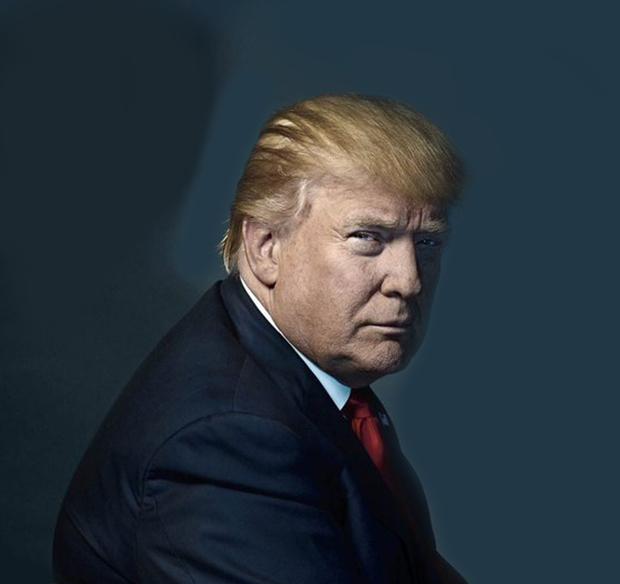 Donald Trump ascended the Presidency on his 70th year, 7th month and 7th day of life (born June 14, 1946.) That would be ‘777’ more in line with a blessing or identification from God. Could we have martial law/is President Trump going to arrest people? Absolutely, there are nearly 52,000 Federal sealed indictments that started in Nov. 2017 (with the Huber investigation start) and have averaged 5,000 sealed indictments per month being generated. President Trump has arrested over 10,000 human traffickers and pedophiles. Louis Vogel Sharp had a video posted today that speaks to some of these items (economy, judgement, seeking the Father.) Louis speaks of tough times ahead as the Father corrects our (Americans) behavior trying to bring his children back & indicates that because we are protecting Israel, America will be protected but also corrected. Above ALL, I will be seeking Jesus and the Father for understanding on Stacey’s dream. I too, believe Donald Trump has been blessed by God, and allowed to lead us in turning some things around. He is probably going to do more of that, but I had a vision that leads me to believe at some point, he angers God. I saw him sitting at a desk signing papers. First God showed me a mountain whole, then split into several small hills. I asked when does this happen? God then showed me Trump sitting at a small desk signing papers. I assumed it was regarding Israel. I pray for our President and cheer on his victories for our nations sake. He has been blessed for now, but the Old Testament is full of stories of leaders who believe their own press and minimize God after he has greatly blessed them. Mountains are a metaphor for kingdoms. To me this sounds like what Terry Bennett heard from Gabriel about our federal government becoming fractured when the military takes control and the states must take the place of federal government functions for a period of time. That’s an interesting interpretation Gustavus. I was thinking of earthquakes, but I like your interpretation better. Thanks for sharing Barbara. Sounds like it might be his Middle East peace plan. Bill and John, not only is Trump going to round up his enemies, he is going to round up 50,000 of the sealed indicted and on Wednesday he gave the United Nations a major black eye when he said nationalism is going to replace international socialism and communism which have proven to be a huge failure! Hitler and Musolini practiced nationalism + conquest of other nations. Nationalism can be positive it stops unbridled illegal immigration and is inward focused rather than outward. Blessings Bill, what you are speaking of here on the indictments and the rounding up of the corruption is what I shared I was possibly shown but I welcomed James insight and thoughts to this dream. I do firmly believe Donald Trump was placed in office by God for this time, although I do not agree with all of his actions and deeds he does stand with Israel and against the dark corruption in America. My eyes are not fixed on Donald Trump or any man but on Jesus Christ alone our redeemer. Does anyone else think it odd that Trump was observed when Stacy was in the mountain of lord? He was in the mountain as well. Does that mean anything? PT20 I don’t recall seeing the president inside the mountain, I was coming into waking at this point when I asked Father who was doing this and it was then president Trump appeared. End of dream. That’s a great question for Stacey, whether it was a new scene or continuation of the scene in the mountain. The Kavanaugh hearings is one of the biggest spiritual battles transpiring in our country and in my lifetime. Christians need not fight and argue in the flesh but pray about this nomination. Stacey’s dream is from God, is to us serious Christians and addresses the big question of the day, Is President Trump for real? The sad answer is that Trump is a deceiver who has not become a Christian and will use the coming marshal law to persecute the Church. Jesus repeatably warned us not to be deceived. Trump has been swimming with the Wall Street banksters, television big shots and titans of industry his whole life in NYC (Babylon). His son in law is a Kabalist and friends with the top banksters and bought the 666 Fifth Avenue building. Trump told the whole world yesterday at the General Assembly that he was one the country’s greatest presidents or words to that effect. This was not only the height of all pride but the strength of the economy is one of many myths he has gone along with since taking office. His has been complicit with continuing the false narratives for our presence in Syria and the Arab Spring of the past 17 years including the creation of ISIS, not to mention the false anti-Russian narrative. I had been in the pro-Trump camp until now but it is starting to look like I was deceived by the Father of Lies. We can’t underestimate the cleverness of the Deceiver who is the Prince of this World. I should’ve included that his daughter, married to Jerrod, is also a Kabalist which is nothing less than black magic from Hell, nothing to do with Judaism. These two people are advisers to the POTUS and,I’m sure, have 24-7 access to his ear. I should’ve said, Trump “may become” a deceiver. Right now I think he is our anointed President. Keep praying for this brave man who is counting on our support. I believe what Stacey witnessed was a Jade Helm exercise which first happened in Texas in 2015. It was a military exercise extracting known and marked patriots and militia from their homes and purportedly taking them to Fema Camps. If you google it all you will find is Russians and tinfoil hat talk. The next year the governor of Texas actually ordered the Texas State Guard to observe what was going on. It was taken seriously. Nobody was actually taken in these exercises that I am aware of. Several days before it went live their were teams going around neighborhoods painting a marking on the curb in front of the homes the troops were to invade. Ron Paul made note of this operation in one of his videos. what struck me was that the family was prepared with backpacks and ready to go at the Lord’s command when things broke out. That’s strange sister. Because God is pressing upping me to improve our go bags. I just talking to my wife about this last night over dinner. God bless you Christine, we are prepared and ready to go should the Lord say go! I think we can all agree we are in perilous times and things are getting darker each day, corruption is at its highest in our land but we are not without hope! Jesus Christ alone is our hope our refuge in time of storm and trial, He alone is our savior. I know beyond a shadow of doubt the red truck symbolized being covered by the blood of Jesus Christ, that is where our safety is found in Him alone. I do believe we need to be prepared naturally as we are in very uncertain days, as the Lord clearly demonstrated to us in this dream He will keep us He will hide us from terror of night or any arrow that flies by day. We continue to trust in His word and promises that He will never leave us or forsake us and He will guide each of us safely to Him. could this dream be a foretelling of I.C.E. activities around the country even now? I agree lets not put our trust in any man, but only in Jesus. But, let us not stop praying for Trump and for these upcoming mid term elections! I have had only one dream about a president , Trump and my wife were sitting in a gazebo at the edge of a swamp. As I walked up I noticed he had his pants down. My wife and Trump stood up walked across the swamp got into his black limousine drove of,This dream was from nov. 2016 two weeks ago I heard ” he is getting in his car”. I post this because something changed . David, do you and your wife have a good relationship? just trying to figure out why you would have seen your wife in this situation . michelle to answer your questian yes my wife loves the Lord varry much. David, I did not mean to offend anyone by my question, but it does make a difference in the interpretation of the dream.. I can see now your wife represent the church. And as a whole may be, being deceived by Trump. Thank you James for posting this dream. Your suspicions about Qanon appear to be justified. I would disagree with two of your conclusions, that this is a long way off and that the government will be against the American people. The boiling political scene suggests this is imminent and the actions are directed against the Christians not the American people as a whole.